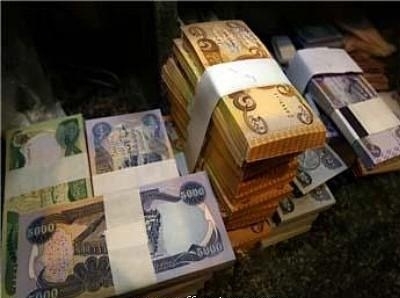 Baghdad / follow the Orient: – called for an economist to delete three zeros from the Iraqi currency, the promise of its existence as a successor to serious damage in the operations count amounts of cash huge. and said the central bank in August plans to delete the zeros from the Iraqi dinar to facilitate financial transactions in an economy dominated by the oil sector and made the transaction through cash often. since last year waiting for a restructuring plan dinar to supply the market with more liquidity parliamentary approval.